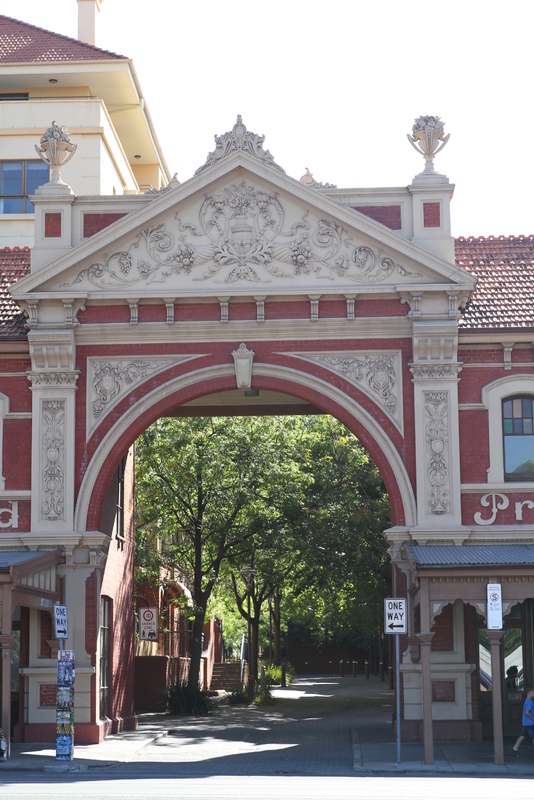 The facades of the former Adelaide Fruit and Produce Exchange are an iconic landmark of the East End, spanning four city streets including Grenfell Street, East Terrace, Rundle Street and Union Street. A number of markets were established in the city during the colonial period. Colonel William Light even set aside land for a market in his city plan, which was to be located at the western end of Franklin Street; however, it was decided this location was too far from the city's early commercial areas. A cattle market was set-up near the Newmarket Hotel, on the corner of North Terrace and West Terrace around 1847, and a small produce market was also located for some time near the corner of Gawler Place and Rundle Street (now Rundle Mall). In the 1860s, Richard Vaughan established the original East End Market. 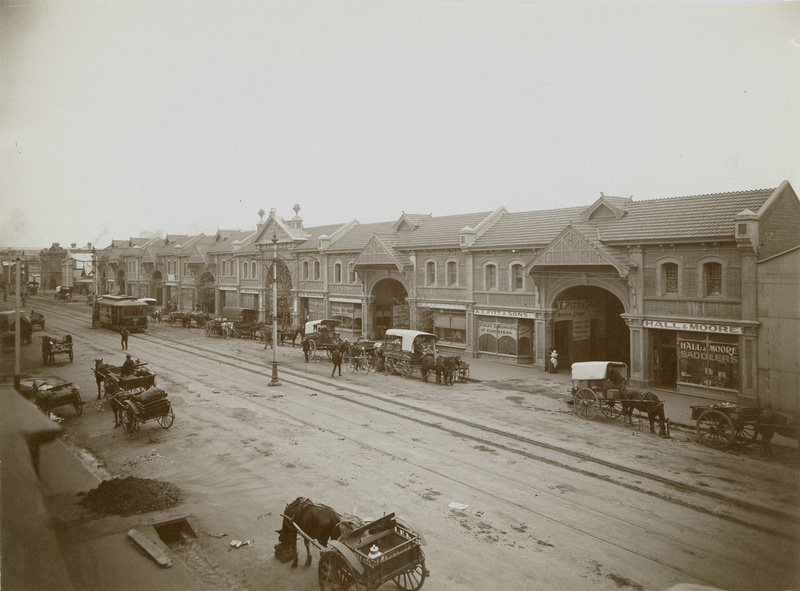 This market was located on East Terrace between North Terrace and Rundle Street. Vaughan owned a number of city buildings, including the nearby Botanic Hotel. By the 1890s, competition for stalls at the East End Market was so great that trading spilled out onto the street. 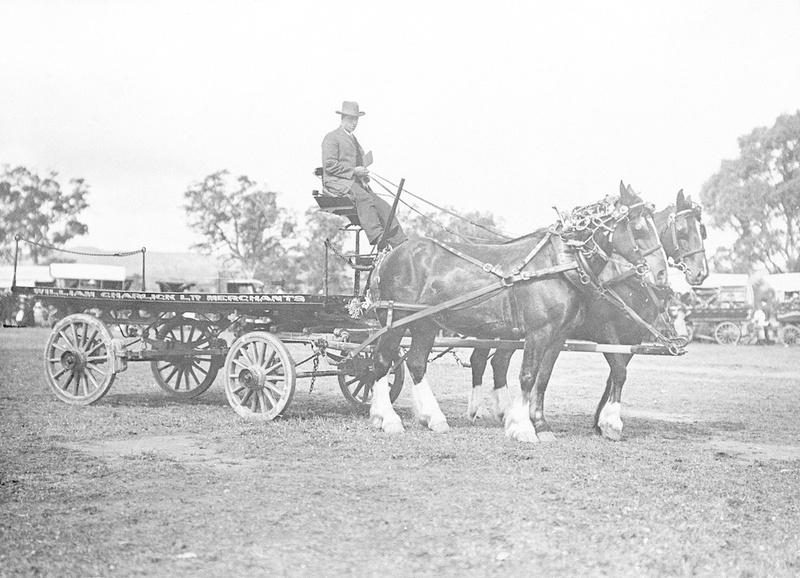 Around 1900, William Charlick, owner of Charlick Brothers (a fruit, potato and grocery business) decided that something must be done to alleviate this overflow. After negotiations with the East End Market failed, Charlick decided to establish a new separate market. 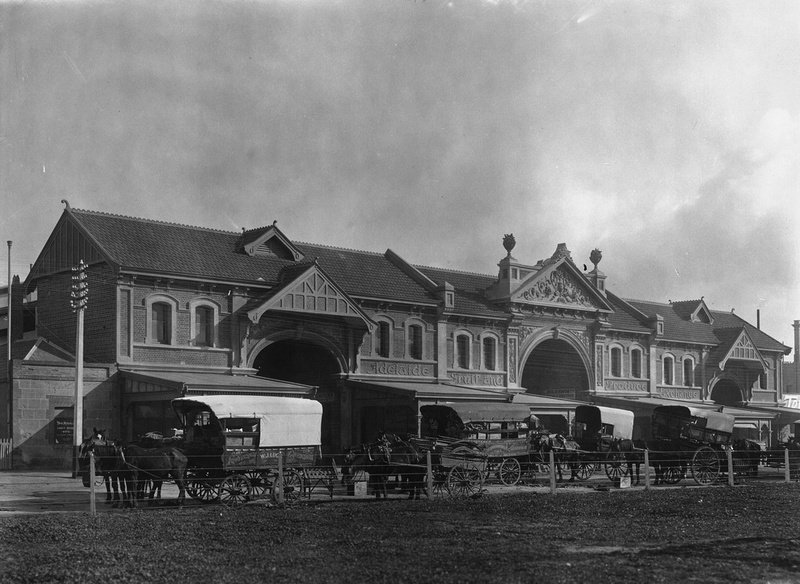 The Adelaide City Council agreed, and in May 1904 The Adelaide Fruit and Produce Exchange markets opened for trade. It was during this time that the prominent facades of the markets and the buildings therein were constructed. 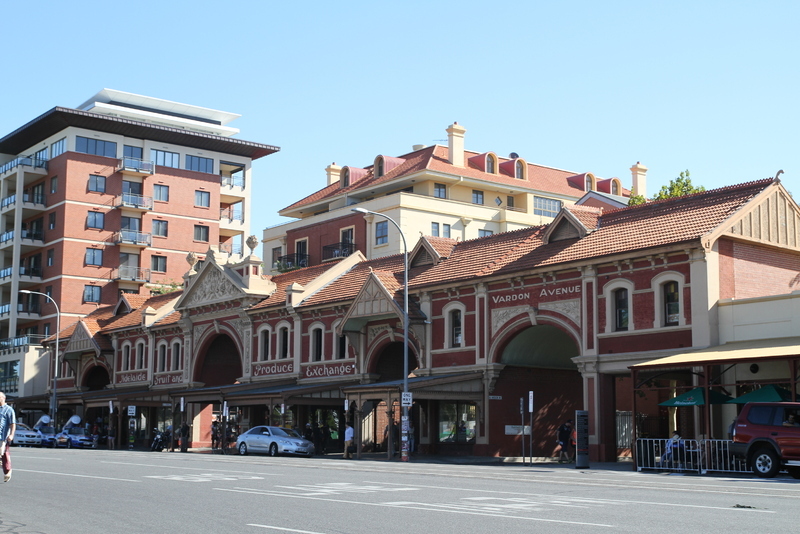 The market complex was designed by South Australian architect, Henry J. Cowell. Cowell used significant ornamentation in his design, including cornucopias and elaborate gabled canopies. 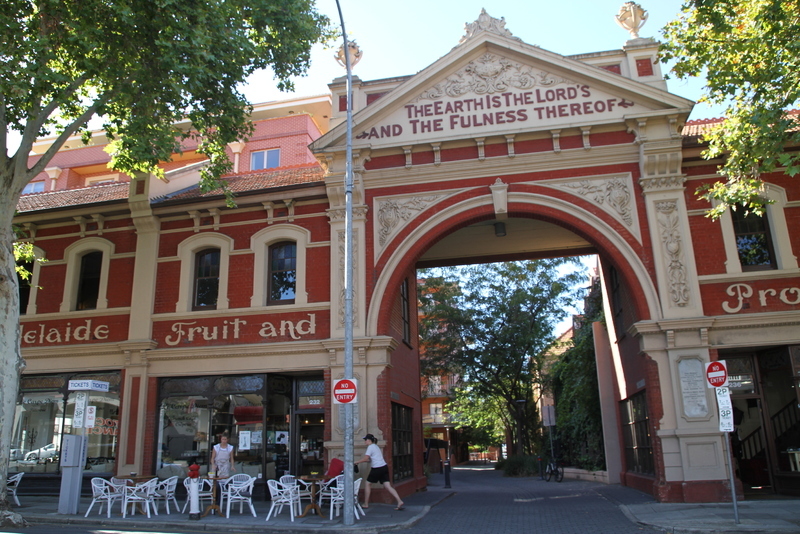 On the Grenfell Street entrance to the markets can be found the inscription, "The Earth is the Lord's and the fulness thereof" (Psalm 24:1). In 1988, the markets were re-located to the suburb of Pooraka, and the site was redeveloped for housing, retail and restaurants. A number of the market buildings were demolished at this time to make way for the development; however, the facade of the former Adelaide Fruit and Produce Exchange was retained. The market's facades can be viewed from 212-248 Grenfell Street, 275 Rundle Street, 26-35 East Terrace, and 12-22 Union Street. 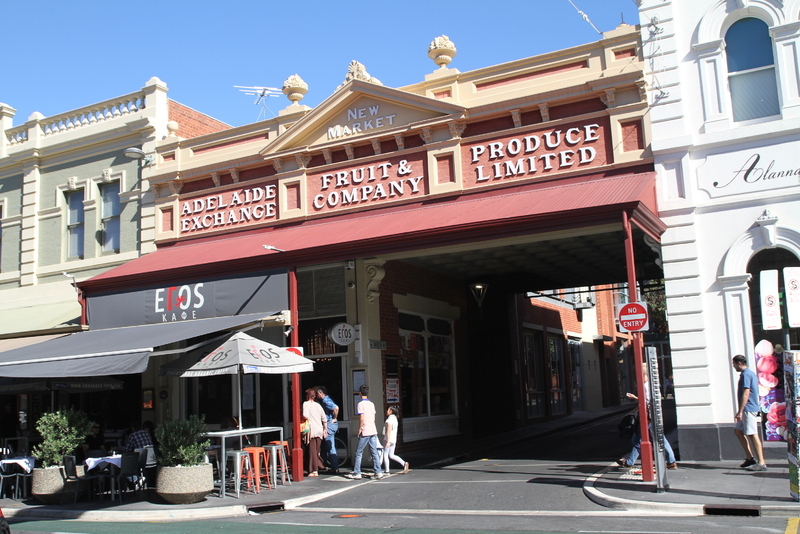 Adelaide City Explorer Team & East End Coordination Group, “Adelaide Fruit and Produce Exchange,” Adelaide City Explorer, accessed April 26, 2019, https://adelaidecityexplorer.com.au/items/show/208.